Il y a du monde au balcon | One quality, the finest. 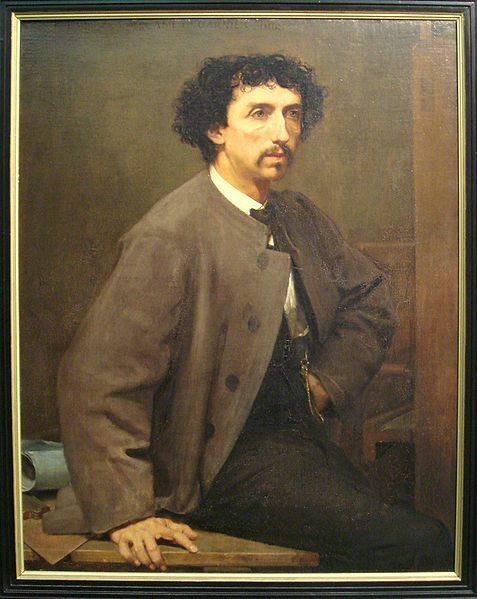 French architect Jean-Louis Charles Garnier was born on November 6, 1825. His parents were working-class folk, a fact that Garnier tried to bury. During brilliant studies at the École des Beaux-Arts in Paris, Garnier won the Prix de Rome. He took advantage of his time there to study the great cities of antiquity in Greece as well as Constantinople. In 1860, Napoleon III announced a competition for the design of a new Opera house. Garnier, a young unknown, submitted the winning design. The grandiose style is often referred to as Neo-Baroque, but Garnier, a savvy young man, referred to it as Napoleon III-style after the guy who’d given him the contract. Composer Claude Debussy described it as looking like a railway station on the outside and a Turkish bath on the inside. The innovative use of iron girders allowed for ornamentation to be heaped on ornamentation. It became known as the Opera Garnier. The excavations for the foundation revealed an underground spring that had to be pumped out before the work could proceed. This is the source of the rumor that there is a lake beneath the Opera, where the Phantom lives. After the water problem was resolved, construction was delayed again by the Franco-Prussian war. Fourteen years after he broke ground, the opening gala was finally held. Garnier moved back to Italy, but continued to design large public buildings until his death on August 3, 1898. I had the pleasure of attending a ballet at the Opera Garnier in the summer. I was seated in one of the balconies, which gave me a great view of all the ornamentation and the massive chandelier. Today’s expression, il y a du monde au balcon (eel e ah due mohnd owe balkon) literally means “the balcony is crowded.” Figuratively, it refers to a woman with a “heavily ornamented” chest. This entry was posted in Architecture, People and tagged Ecole des Beaux-Arts, Franco-Prussian War, Il y a du monde au balcon, Jean-Louis Charles Garnier, Napoleon III, Neo-Baroque, Opéra Garnier, Prix de Rome. Bookmark the permalink. Vous avez absoluement raison! J’ai besoin des vacances. Je vais corriger le blog directement. Pingback: Faux amis | One quality, the finest. Pingback: Dans les coulisses | One quality, the finest.